Google, Bing, Yahoo and all other search engine use something called auto-suggest and related queries when you search. It is all based on machine learning and gives the searcher more choice to narrow their broad search based on what others also look at. From an SEO standpoint, I believe that this is one of the best ways to do in-depth keyword research. Even better is when you can take this power and insert your brand name into an autocomplete or related search section. Here is how you can use related search information on Google and Bing and drive more traffic against your competition. This picture below is two images compressed together so that you will see these related searches at the bottom of Google. The term “2 person tents” is fundamental and is considered something of a broad query. Google here presents us what others also search for around the topic of “2 person tents” where it is more directionally. Take note of Walmart in this section. As a brand, I think Walmart should be very proud that they show up for such a broad search term, but I will get into that a bit later. Let’s take the related queries on the right-hand side and click on “2 person backpacking tent”. Once I click on that, I am brought even more related search queries around this topic. I would say from a search standpoint; I would probably look for reviews when making a decision. This is probably what I would click on, so from an SEO standpoint, I should make sure that I am offering full reviews for my products against my competition. I will show what this looks like a little down below. One reason why I choose to go more in-depth with Bing is that Bing will show more auto-suggestions based on my query than Google. This right here will give me the direction that I will need. Let’s take this question below. Let’s say that I have a blog post on “how to bake steak tips,” but I notice that the verb bake and make are both shown. In fact, I can see that the verb “make” is used for more often than bake in the auto-suggest. When I head over to the related searches on the right-hand side, I can also see cook is another verb used. Let’s take that example from Bing above for a second. We were looking at the verb “make” and “bake.” When we put this search into Google Trends, we can see that in the past five years that “make” actually holds more search interest. Data like this is incredibly powerful and will directionally drive us into our content decision. If you have never used Google Trends before, I would check out these helpful guides that can get you started on the right foot. Want another tip when it comes to using Google auto-suggest and related queries for SEO expansion? 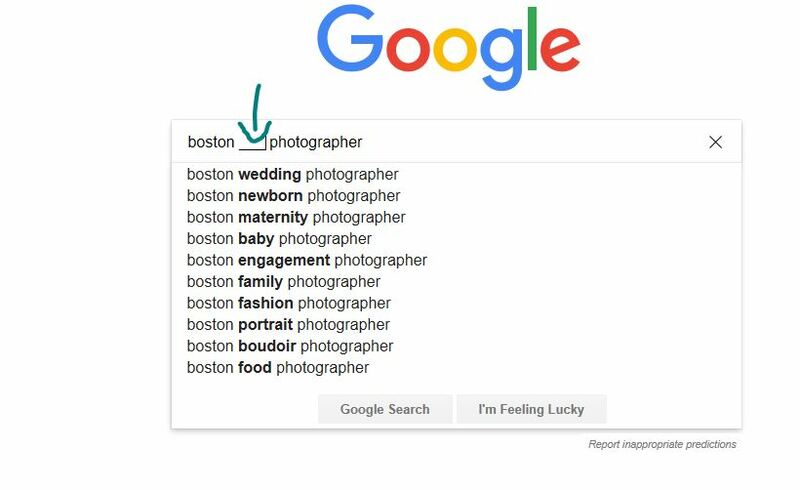 Take this example below if you are a photographer in Boston. You have to type in the first term; then you have to create a space and make an underline, then generate another area with the ending word. You will get a result like this. This is gold when it comes to SEO. Now you can already see what terms you should be covering on your site if you offer this type of service. Have Your Company Own the Related Searches? So I referenced this twice in this blog post. How sweet would it be if your company name came up as an auto-suggest or a related search for a search? Let’s take this example below. As you can see, a direct competitor in the associated search results section which is very interesting. 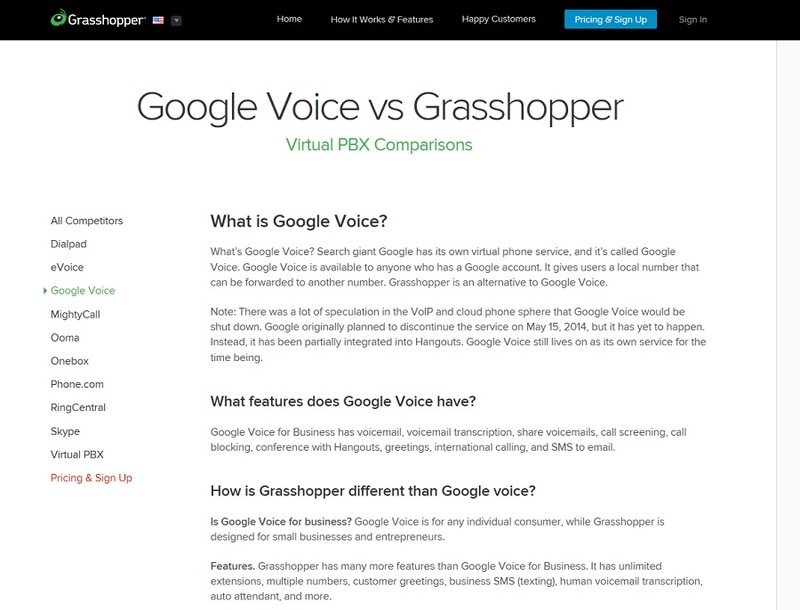 The brand exposure for Grasshopper in this model is incredible with Google voice known as a big product. In fact, I checked out Google Voice in Google Trends, and it has trended as a very high search term, so this is significant exposure for a direct competitor. 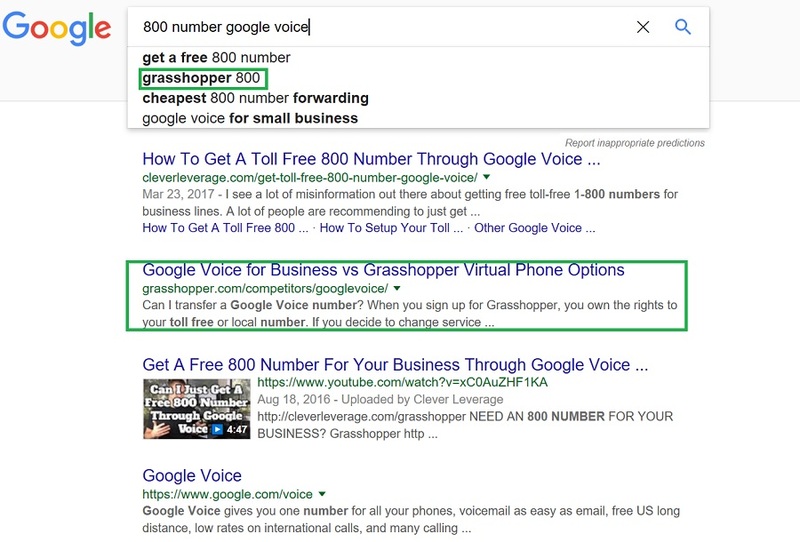 So how did Grasshopper get into that space when my query specifically mentioned Google Voice? The answer comes to writing content on your website that specifically addresses the similarities and differences between the two platforms. You can see below that by comparing and contrasting the two, Grasshopper now already explains how they are similar and how they are different. 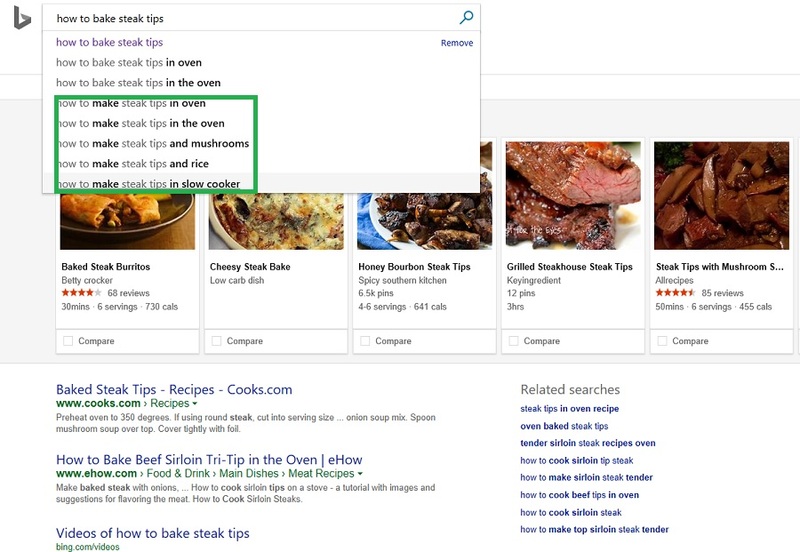 In this blog post, we covered how to use auto-suggest and suggested searches in Google and Bing to help your SEO. Some of the takeaways were how to find more long tail queries for your webpage to cover, how to use Bing, Google Trends, and finally, we looked at how to insert your company name into a branded Google search. I even gave the unique way to create a space in Google to find some really interesting queries to go after for your search efforts. If you have any questions or need help, I do offer Boston SEO Services along with a Free SEO Audit that can find even more possibilities to go after for your site.